This weekend I have been thinking of trying out new menu in Chong Fatt Cafe in Setapak. We went out quite late today about 2pm for our lunch and when reaching Jalan Genting Klang , we noticed this cafe is closed down. Actually I forgotten to check on Media Focus Magazine on the full address, never thought that this cafe we used to visit this place for their Fish Head noodle has shifted to new place. 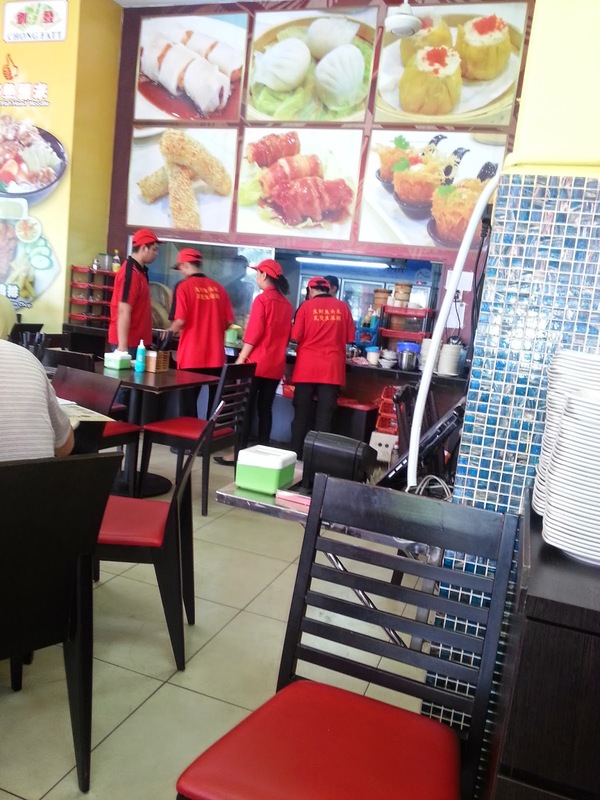 Luckily, I still remember the contact number which I called up yesterday to check on their business hour , and they told me that the cafe is longer there and now they are located at Jalan Genting Klang at the Steven Corners side and just the same row as 99 Supermarket. At the corner end with bright red colour restaurant, parking is easier and along this shoplot area there are lots of other cafe and mamak stalls. Upon reaching this restaurant, I have bad impression on the whole place. No air conditioning, open air with outdoor seats, only fans available. Terribly hot,stuffy and the dining place is not comfortable at all. Expecting the cooling dining place as it always be when we had our lunch at the previous cafe. 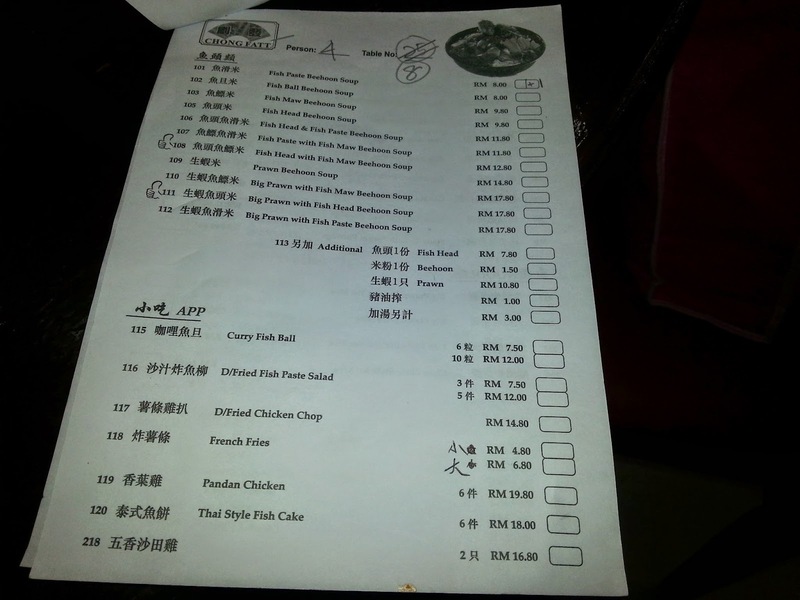 We are given this pieces of small menu sheet to tick our order. 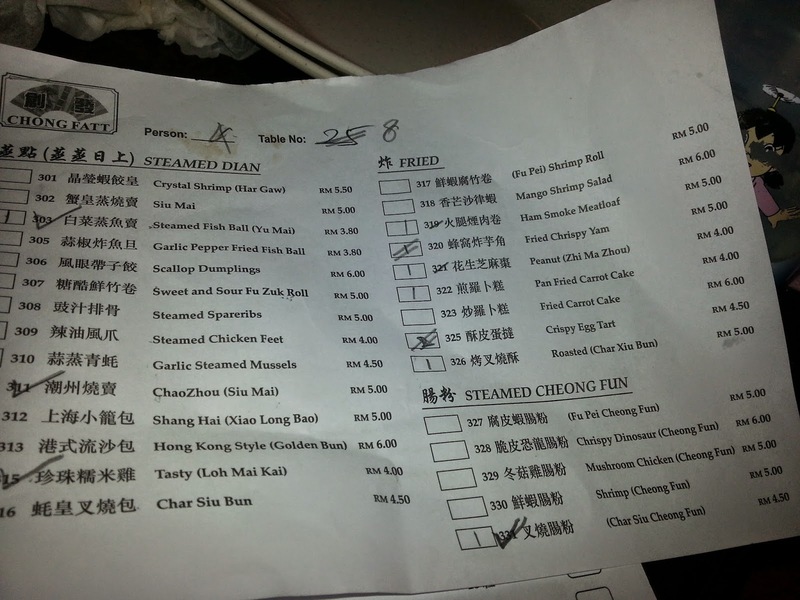 Less than 15 items on the steam dim sum menu and fried item?? only 9??.. and almost half of it are sold out. Business hour is until 5pm and everything is finished at this hour. Great..so what else left to order?? Ham Smoke Meatloaf RM 5 - The setback firstly on the presentation of the fried item compare to the picture illustration as below ( in the middle) .Totally different and the dish served just like that. 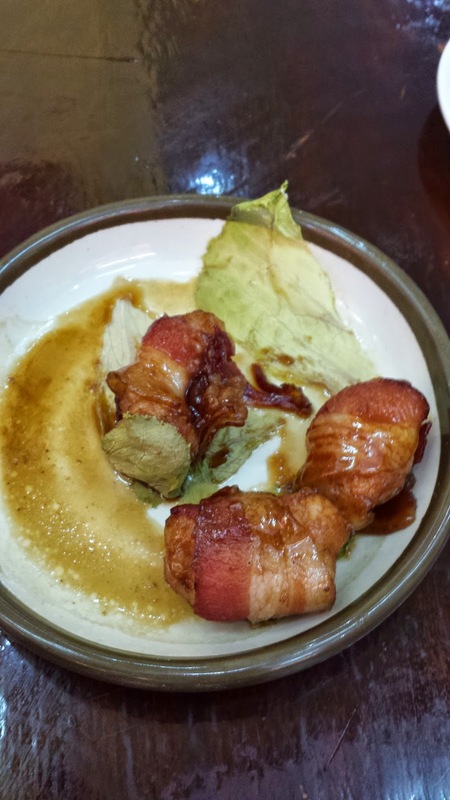 It seems like the three mini smoke ham balls being thrown on the plate..such a mess !! Fish Paste Mee Hon RM 8. 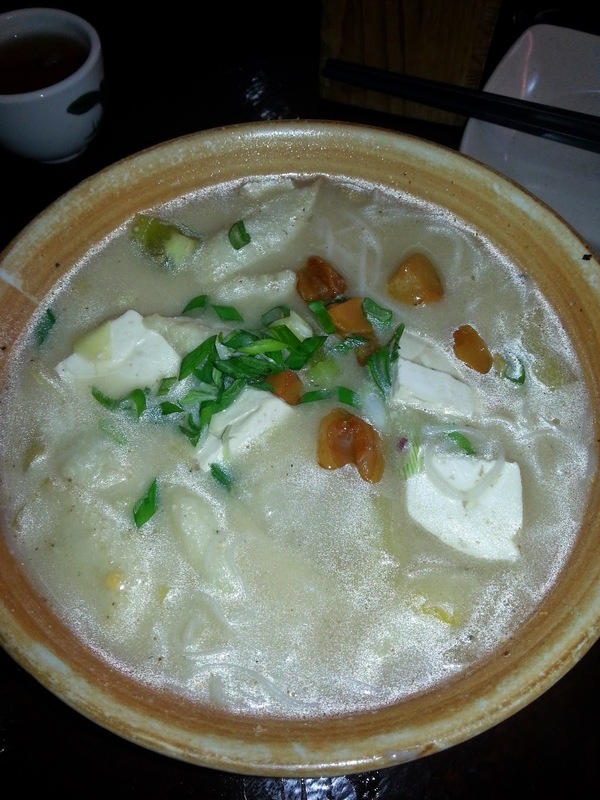 Still my favourite here for their fish paste noodle, with creamy broth. 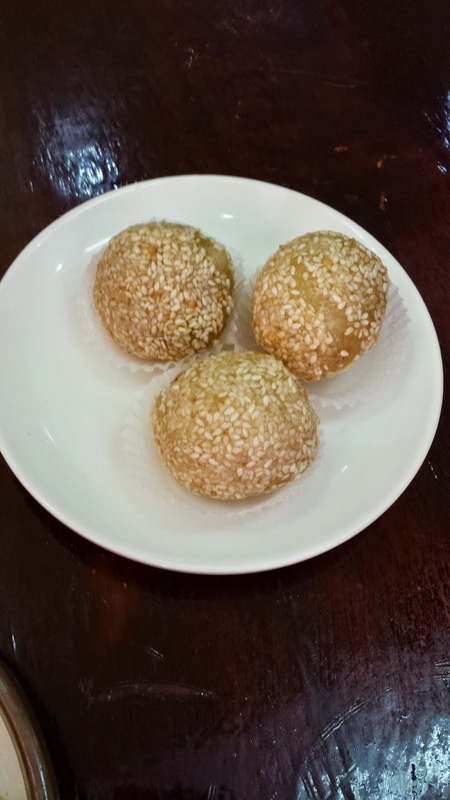 FIL also ordered another fish paste noodle, but commented that this is not the fish paste, just the normal fishball taste..Opps.which mean the quality is not there as he expecting for fresh fish paste. Char Siew Cheong Fun RM 4.50. 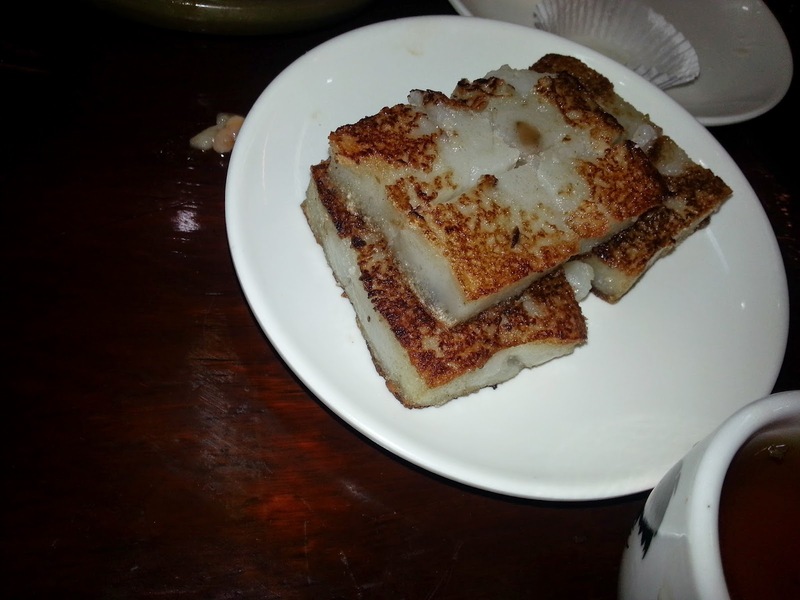 The cheong fun portion is reasonable but was placed on the round plate. First time seeing this and the taste is really just filling up my hungry tummy. Nothing special about it. 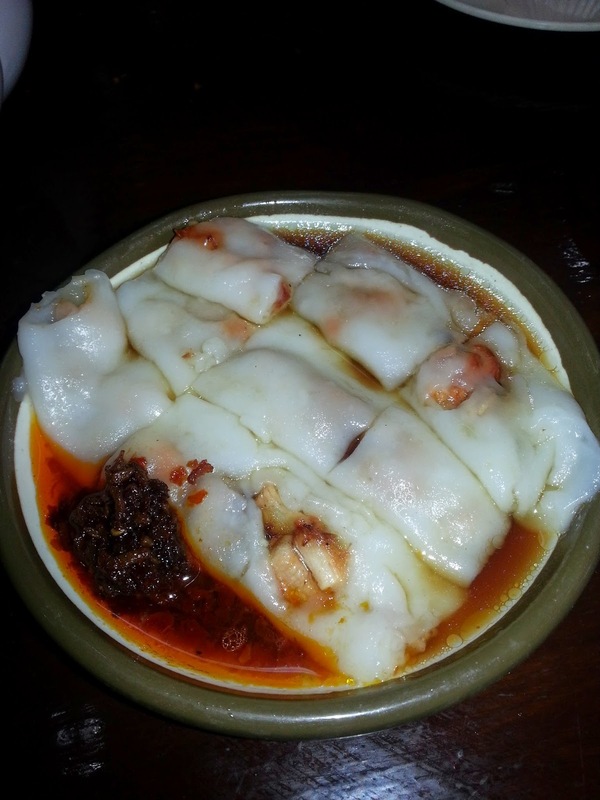 Just look at the siew mai..would you be appetizing to have it right away? I was surprised by how this food served on our table. 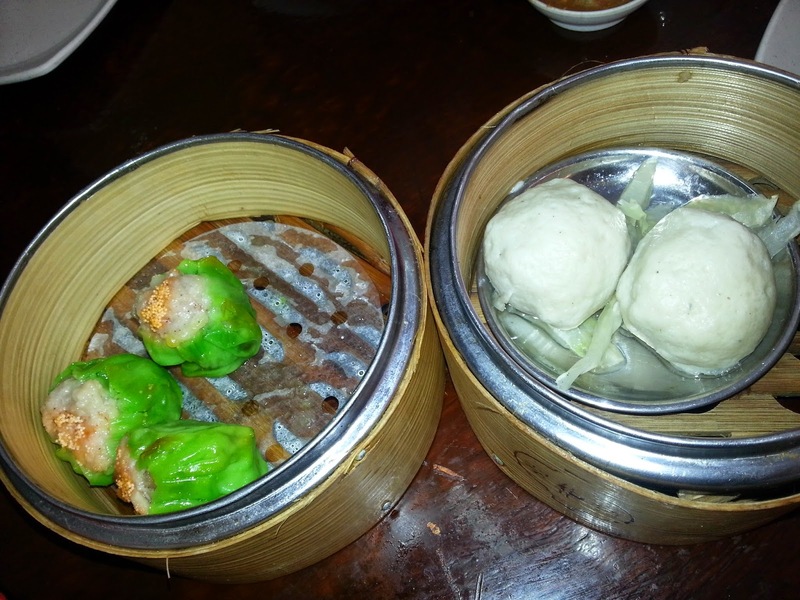 The siew mai portion is SO SMALL. Hubby wanted to order the thai style fish cake. I stopped him and said look at the price first. Not worth a cent. Pan fried carrot cake (RM 4) is rather disappointing. 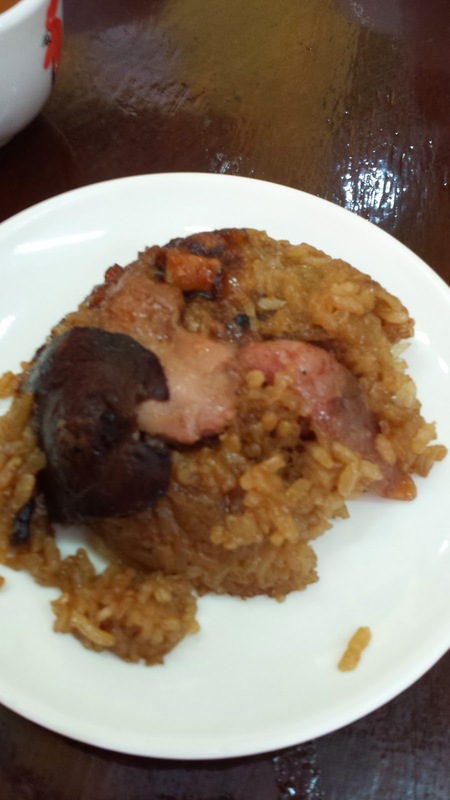 Small portion, too soft and sticky. 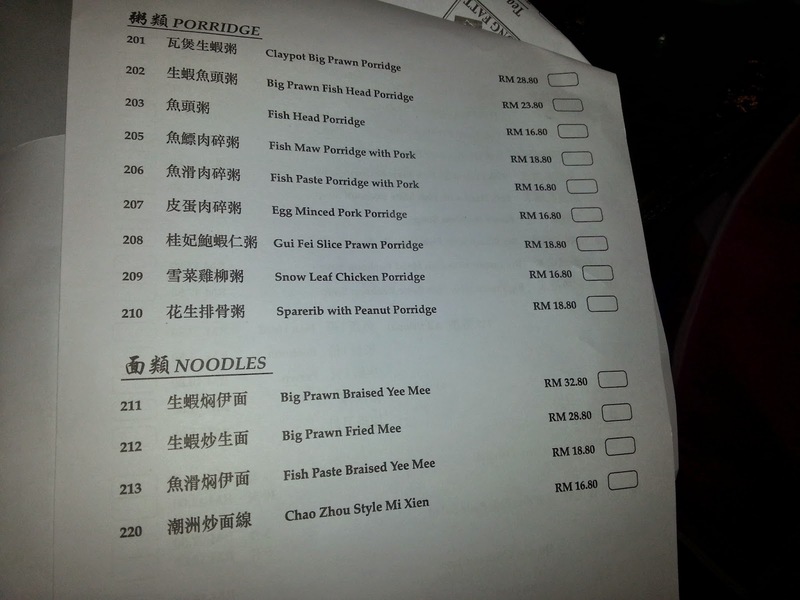 The menu for porridge and noodle price is very expensive, the reason could be on the ingredients given such as big prawns,spareribs and etc. But I wonder how large is the portion. 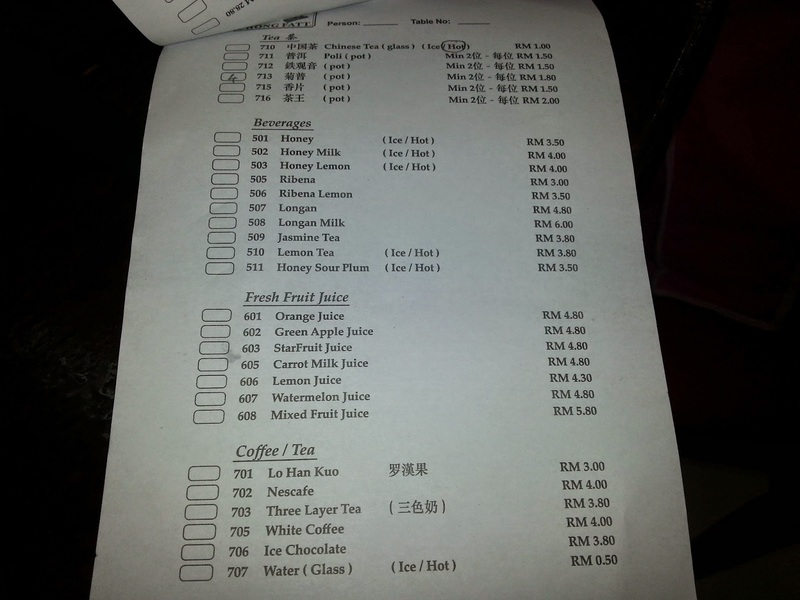 Tea is charged RM 7 for 4 people ( advise to bring your own tea bag), with charges on service charge. Total damage RM 56. Will I return for their other dim sum menu? This place is totally out of my foodie list.